Secret Rooms Mod for Minecraft 1.4.7/1.4.6 is an extremely efficient mod. This mod provides some block which helps you to hide your stuff like diamonds and more. Other than that it helps you to build hidden doors, pressure plates, leavers and most important of all Ghost block. One more significant feature of this mod is a trap for those who tries to steal your belongings. So have fun playing this mod. Description: A custom mod of Minecraft to hide items. 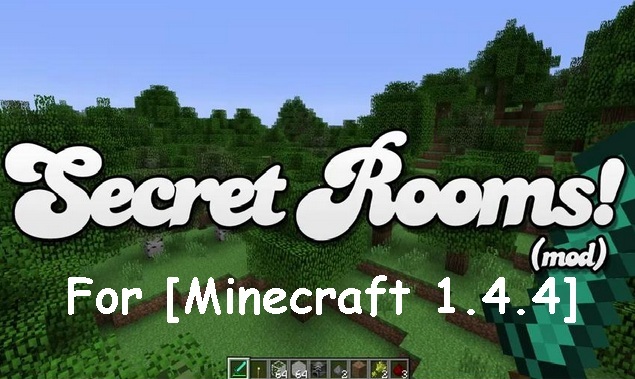 Secret Rooms mod is available for the latest version of Minecraft 1.4.7/1.4.6. If you are having problems while downloading this mod or if you have any queries related to this mod please feel free to share it via comment section. Keep coming here to check the latest updates of your favorite game.